Stop us if you’ve heard this one – an older dog begins to develop frequent urination problems, puts on some weight, and has a thinning coat. 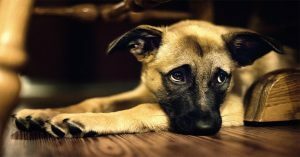 Many times, owners simply shrug off these symptoms as “getting older” and long for the days when their dog was younger. The truth of the matter is that many times – increasingly so in recent years – the issue is not age but rather a glandular issue known as Cushing’s disease. What is it, though? Ultimately, it is the result of the adrenal glands producing too much corticosteroids – usually due to a tumor. The real problem comes not from the disease but from the fact that it is usually so slow in finally representing as an issue that your pet’s health is severely degraded. Owners have chalked up the weight gain, the little accidents on the floor, and the hair loss to age when, in fact, it is a perfectly treatable issue. While your veterinarian has several treatment options open for your pet, here at Bailey’s Blend, we’ve looked at all the data and realized that many of these very issues could be slowed or reversed through better nutrition. In fact, our Intensive Care Formula has shown some amazing results when used to help treat Cushing’s. The answer for that is simple – when we treat the inflammation and help to stimulate better a healthier bloodflow, many of the very problems that caused Cushing’s to manifest can be reduced. With our own precious Bailey, we found that when we treated these issues, her health improved and where once she was given only two months to live, she regained her health and returned to the happy dog and family member she had been before getting sick. In the end, we’ve said it before and we’ll say it again – We believe the body has an incredible way of healing and regenerating itself, but it needs the right nourishment to do so. Consuming the right nutrients can have a positive impact on mood, energy, and physical health. Providing the right nutrients simply enables the body to function the way it was intended. While Cushing’s Disease has a variety of treatment’s available, one of the most effective ways to manage it is to avoid it altogether. 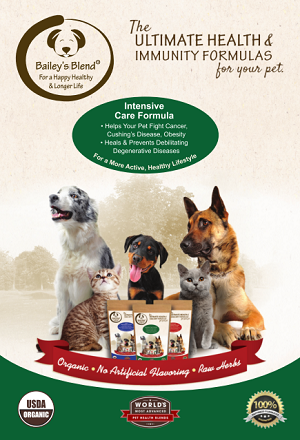 Bailey’s Blend has shown that great nutrition can be a very effective starting point for dogs of every age and health and the hundreds of testimonials from our pet owners have told us that we’ve helped to make life better for dogs of every breed and age. Is older dog having too many pee accidents too often? Put on weight, or coat is thinning? Then this blog post is for you. 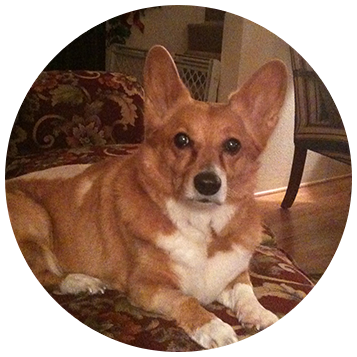 We have compiled the 7 critical steps for you to help you help your dog. In addition, there are many home based methods you can use to help your dog from developing Cushing’s or if they have it, aid in the healing process. We have compiled 7 Critical Steps to Keep Your Dog Healthy for you to download which can help you help your dog from having too many pee accidents and preventing your dog from developing Cushing’s Disease. 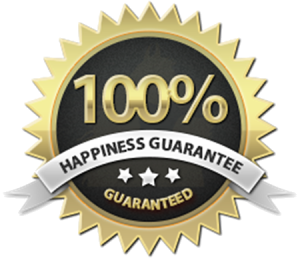 Buy Bailey’s Blend Intensive Care Formula Today! Watch International Teacher, Speaker, Best Selling Author and Rich Dad Advisor Blair Singer share how Bailey’s Blend brought his family’s dog back to life! There is no doubt Bailey’s Advanced Blend brought Sassy back. She is off steriods because of it. If you could see her energy and her vibrancy… She’s doing fabulous. She couldn’t be happier and neither could I. I recommend you to everyone I see! In fact, I know I’ve sent you a number of new customers because my friends tell me they love it too. We are so glad we found out about you.Thank you so much! We have another elder dog who had been on Baileys Blend and had stopped taking it for several months while in the care of a friend. Her Addison’s disease and Valley Fever symptoms returned and we immediately resumed the Baileys Blend protocol. Calgary is back to her 15 year old self, swimming with her housemates daily and moving around comfortably again.Thank you Baileys Blend!! 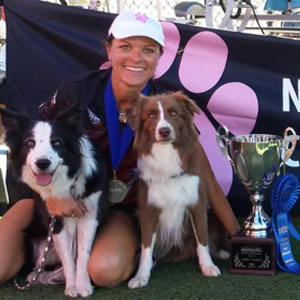 ~ Elicia Calhoun, World-renowned agility trainer, dog handler, and speaker.